The 3am Teacher: Sweet, Simple, and Saucy on Saturday!!! Sweet, Simple, and Saucy on Saturday!!! I have so many things to share; however, I this will just be a short post today. Over the next couple of days, you might see some drastic changes to my blog and design... don't worry though, this is all planned.. hahaha... I am not taking on custom orders this month so I can finish up a few of my own projects. It is nothing personal... okay, maybe it is.. hahaha.... I want to be finished with the design and launch everything on Monday, so we will see how that goes!! Here is the most recent blog design that I finished last month!! I think it turned out really clean and modern!! Here is a BEFORE and AFTER photo of Subplanners!! Jean has some great resources for teachers & I would love for you to check her out and give her a little bloggy welcome!! I have so much fun creating these designs. I will not have my custom blog design request form available until the new design is up and I will be booking custom orders for October through November. 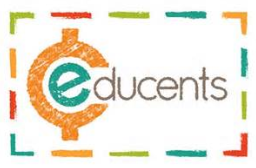 I am not sure if you all read my last post, but Educents is a GREAT site to get bundled resources at amazing deals. There are still a few more days left to take advantage of their latest deal!! Feel free to pin the deal and help spread the savings!! In fact, please pin this - it is such a great deal and Educents has been quite wonderful to be a part of this round. I know this post is super short, but I have a weekly deal and a freebie for all of you to cheer you up!! Grab my ULTIMATE chalk frames bundle at 50% off this weekend!! 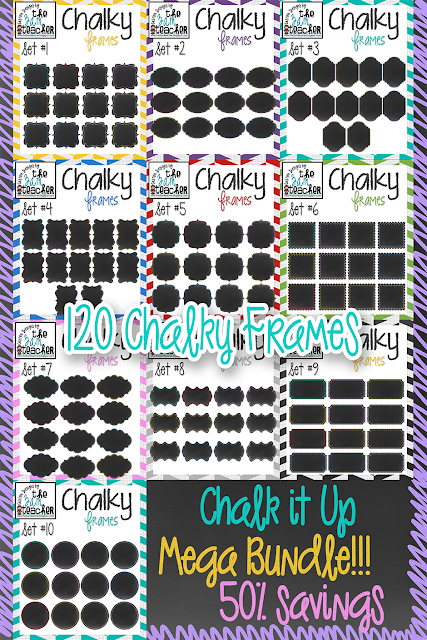 That is 120 cute chalk frames for only $7.50!! Enjoy!! Grab a FREE on TpT deal!! Just click the image to visit my shop and download the set. Don't forget to leave some sugar in the feedback section & to follow my shop for updates!! Hope you all have a very nice weekend!! I will be so happy when my blog design is finished and I can focus on some serious blogging!! I am just glad I do not design blogs because I would change mine all.the.time! Thanks for the darling freebie! I can't wait to see your new design completed. Love your newest bloggy makeover and all of your new logos, Michelle! 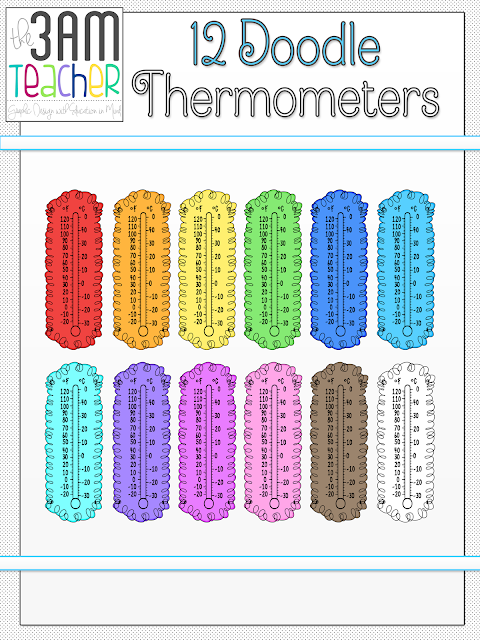 And the thermometers? So stinkin' adorable! Thank you for making the doodle arrows....I can't seem to get enough doodles! I love your old look, but your new designs are so sleak and stream lined. I;m like Rachel, if I designed I'd be changing mine all the time!